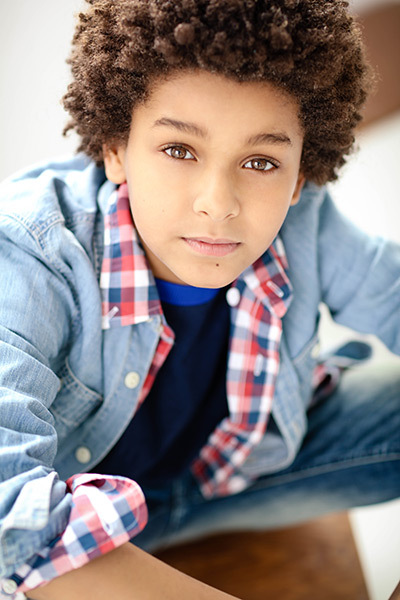 Our interview with young actor Jaden Michael who already captured the attention of Hollywood as a young star to watch, having appeared in multiple roles in critically acclaimed series and films alongside a lengthy list of A-list actors. 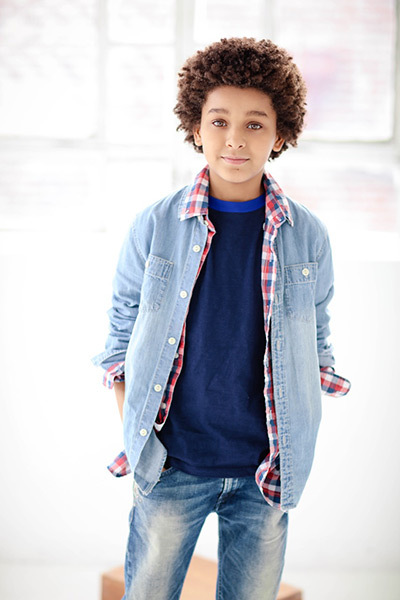 This year Jaden can be seen starring in “Wonderstruck” for Amazon. Directed by Todd Haynes, “Wonderstruck” tells the story of a young boy named Ben who lives in the Midwest, and a young girl named Rose from New York who lives in a different era. They both seek the same mysterious connection, and secretly wish their lives were different. 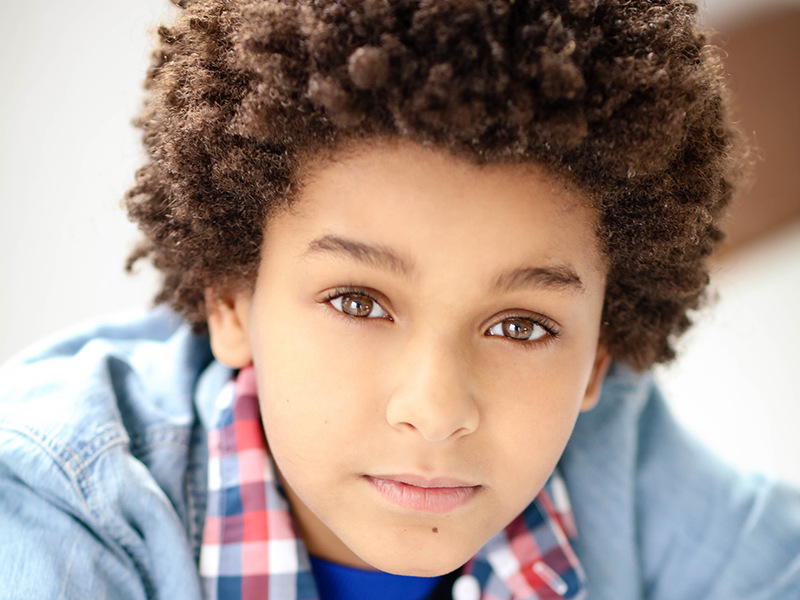 Jaden shines as Jamie, a 12 year old boy from 1977 who eagerly befriends and helps Ben find what he has been missing. Jaden shares scenes with Julianne Moore throughout the film. The premiere of the film took place at the Cannes Film Festival in May 2017. Jaden learned American Sign Language for his role in “Wonderstruck,” and has become fully conversational in the language. When not filming or studying, Jaden loves to surf, skateboard, box, sing and dance. Hi Jaden please tell us a little about you? I am an outgoing 13 year old that loves his guitar and skateboard. I like to think of myself as a regular kid with an extraordinary life. I’m always up to date with the latest technology but I hate math. I love being an actor and I love my mom. My mom. She works so hard to get me here. From the beginning, she knew I had something to share with the world. She believes in me and has never given up. She has sacrificed so much to help me and my career. My mom got me started in modeling when I was two years old she says it was because I was very outgoing and cute. Later on when I was three, my mom found a management company that would represent me in acting. My mom says I was very talkative and loved telling people stories. By the time I turned five or six, my mom asked me if I wanted to continue and if I thought it was fun. I said yes, and my love for the arts has only grown from there. That’s a hard question…I don’t remember. I’m going to say a Nick Jr. promo or a commercial. My favorite part about acting is researching my characters. When I read a script I really scoop out everything I can. I like to imagine what my character likes to eat for breakfast to how fast he walks down the street. Being able to research your character and become the character makes storytelling easy, fun and real for the audience and I want the audience to feel the character and the realness through the screen. For me there is no bad part about acting. The best advice ever given to me is from my mom. She always told me “never give up.” There were many times where I wanted to give up. Had I not listened to her, I would have never gone to Cannes for the 70th anniversary with my “Wonderstruck” crew! Now tell us about Amazon’s “Wonderstruck”, and about your character Jamie? “Wonderstruck” is a film about relationships. It shows what it’s like to meet new people and see new places. In the story, there are three children in similar circumstances in two different eras. The film follows how the children find where they fit into society. It follows their adventure, the drama and the mystery of their lives. My character Jamie is a lonely boy from the 70s in a busy town. His parents are divorced and he finds refuge in the American Museum of Natural History, where he spends his summers. When he meets Ben, many key parts of the story become visible and Jamie can help Ben or turn his back on him. How was working with Julianne Moore? Julianne Moore is a really sweet person. When we met she was so humble and down to earth. Then we started working and I realized one thing we had in common: how we both could quickly get into the character. If we were telling a joke and laughing, quickly we could snap right back and I thought it was just crazy that I shared something with a celebrity. Also, off camera I got to teach her how to dab, which was hilarious. I am so glad and fortunate I met her and worked with her. Working in the museum, especially in the back rooms. I never expected in 100,000 years to ever be working at the American Museum of Natural History. A place I visit at least once a month before we even shot the movie. As a New Yorker, my family loves going to museums like MOMA, Whitney, Intrepid and of course the AMNH. But working at the museum till 2:30 in the morning was just mind-boggling. Sometimes I would have to sit down on the floor just to take in the magnitude of what was going on. Another unforgettable experience was being able to sit down with Todd Haynes and really think about the story and being at the studio and imagining the scenes before we shot. I could never forget those two things. This is always the hardest question to answer because I have so many actors that I admire. One of my favorites is Harrison Ford. I’m a big nerd so I love “Indiana Jones,” “Star Wars” basically any movie he is in. Another favorite is Kevin Spacey. I have been a big fan of his for a long time. I loved watching him on “The Usual Suspects,” “House of Cards.” One thing I admire about Kevin Spacey is how he can play such a wide variety of roles from comedy to murder. I hope I can work with them one day. I like all kinds of music. Sometimes I will listen to classical music and opera with my grandma. If you look at my playlist it is all classic rock. I love Aerosmith, Bon Jovi, Led Zeppelin, I love the song “The Eye of the Tiger” by Survivor and especially The Beatles and Fleetwood Mac. I have every single album by the Beatles. I can listen to them over and over again. An ideal Sunday for me is to lay back in my pajamas catching up on films and TV shows especially if I had worked all week. A normal day in my life is nothing normal and not a routine. It always depends on what’s going on for the day. I try my best to do my school work early in the morning, if not I have to complete it on the weekend. For the most part you can catch us running around NYC from one audition to the next. No matter the weather we are always running. Rain, snow, heat. I remember once having to take cover under scaffoldings from a go-see to an audition in the middle of a hail storm. Those things hurt. But I’m always reading scripts on the train. Sometimes, after a long day I get home and prepare for a self-tape or the next day’s script. At 18 years old I imagine myself with an Oscar and/or an Emmy, getting ready for college to go to Harvard and a driver’s license with a lot of cars. I love cars. I like to contribute to the Wounded Warrior Project and The Water Project. In addition, I am an ambassador for the UNICEF Kid Power. It helps motivate both children and adults to stay fit and at the same time help feed malnutrition children around the world. I am on Instagram @jadenmichael. And on Facebook and Twitter with the handle @ItsJadenMichael. Holiday Destination: My mom and I love traveling and every year we choose a different destination. This past year we went to Las Vegas. Sports Team: I don’t have one. Movie: My favorite movie changes all the time. I really love “Singing In the Rain” and “A Star is Born”. Those films are classics and will always be in my heart. Another great film is “Point Break.” That film has a great storyline, great acting and the shots of those views are out of this world! Then I love “Star Trek” but the original movies and “Star Wars” all of them I mean who doesn’t like those. Another excellent but hard to find film is “Dune” by David Lynch. But right now, my all-time favorite film that beats all of these by a mile is “Wonderstruck.” Not because I am in it, but because it made me cry, laugh, get scared and not many films can do that to me. Also, the way everyone came together behind the scenes really was felt in front of the screen so as a film buff and an actor I highly recommend this film.